25. 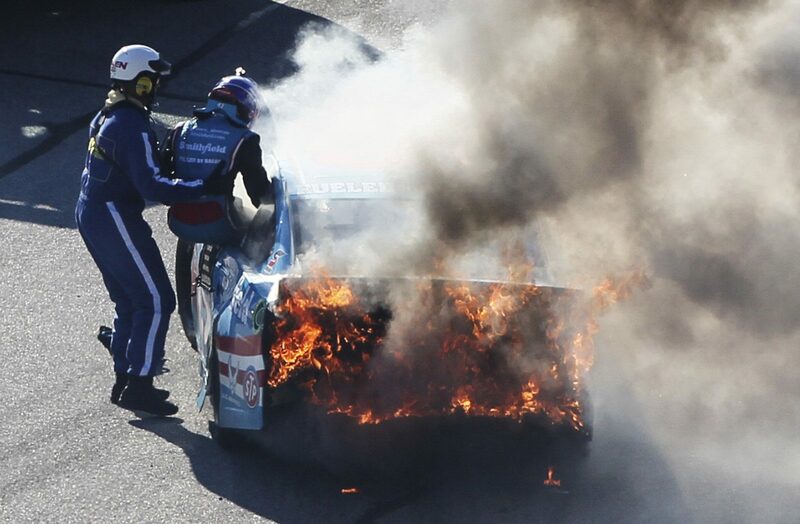 Aric Almirola – Aric’s car caught fire on Atlanta Motor Speedway earlier this year. This heroic photo shows one of the safety crew helping him to safety from the driver’s side window of his car. He wasn’t hurt and everyone was fine but one thing is for certain – it’s because of the bravery of the men and women in charge of safety at Atlanta Motor Speedway that ensured everyone made it home safe that night.